Signe Jakobsen – What Have You Done To Me? 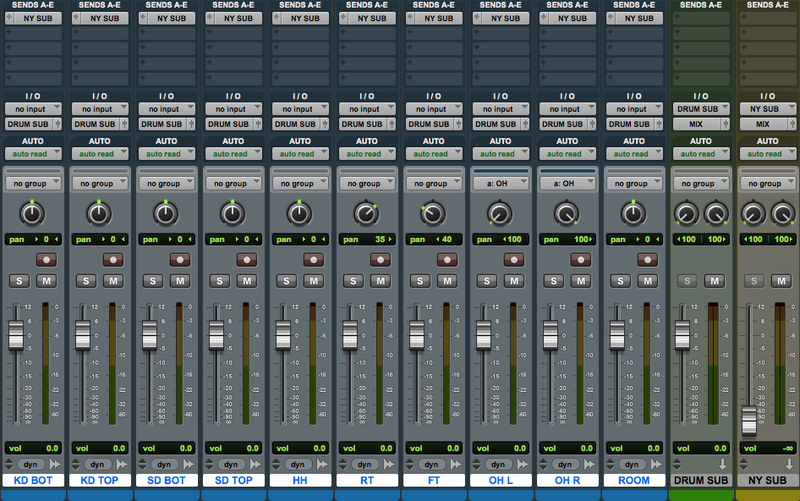 Here is part 1 of 2 of my mixing assessment for my Production & Professional Practice module. Signe Jakobsen is a Danish-born singer/songwriter and I mixed her track What Have You Done To Me?. After extracting the files from Mike Senior’s multitrack library, it was good to notice others had posted their remixes the song. This became homework listening and acted as references for my own mix. I gained from ideas which I thought were useful, but mainly from parts of the mixes which I thought didn’t work i.e. too much reverb, bass too prominent. Just look at his cheeky smile! Here’s a wee clip of a test I ran at work on the PA. It was really useful to hear that mix on a larger system as it exposed the width I had created. I also ran the whole track in mono in order to identify issues with phase relationships and their coherence. Luckily, it didn’t suffer too greatly, however I noticed things like cymbals sounding a little mushy. Figured I should get with the times. Follow me for generic studio snaps and also full dinnertime commentary. After a class on the subject, I have discovered a new love within the mixing process. Most famously used with drums, parallel compression is a fantastic tool that usually involves mixing unprocessed information with heavily compressed signals. Also known as upward compression or New York trick, it brings out some of the weaker energy signals as opposed to reducing more transient signals. At the same time, signals with more attack are sustained whilst raising the level of quieter features. It is often referred as ‘NY‘ compression simply because mix engineers in 1980s New York began developing the technique. Play your tracks back using your DRUM SUB submix. 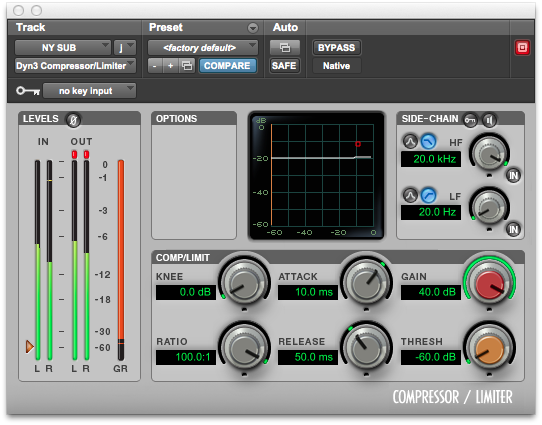 Begin to bring up the fader of your NY SUB track with compression applied. Notice the difference in sound as you introduce this. Mute the DRUM SUB track to hear more clearly what the compression is doing to the same signal. Selecting what drum tracks you want involved – You may find you like the effect on the hats and overheads, however not the snare and room mic. *Hold [OPTION + SHIFT + CLICK] when delegating outputs/zeroing faders/enabling pre-fade. It’s the ‘do to selected‘ shortcut and will save you a lot of time. I really enjoy experimenting this technique because in the past I have often struggled to create dynamically impacting drum mixes. Using it helps to fatten the sound of drums (or bass or vocals), adding more interesting sonic content. Being a big fan of pumping (jokes aside) in dance and rock music, I particularly like the effect parallel compression has to offer. Leaving that drum take unmixed and pushing all the tracks in to the NY bus has made me realise a few things. The spills from mic-to-mic had horrible consequences when using the NY compression. It made it sound very crowded and undefined. By separating some tracks into their own NY buses, you can have more control over the sound each grouping makes. Even by using a mixed product, EQing some of the compressed sounds i.e. snare rumble can clean up the mix greatly. Finally, not all drum tracks need to be used when applying NY compression. Be selective and find out what works best for you. I run a SoundCloud account, which I like to use to host any work that I’ve been doing. You’ll probably find embeds scattered across this site, so don’t be feert to have a lookie. Thanks! What’s that? You asked what I’ve been up to? Quite a few things, really. Taking on a pretty big project – probably biting off more than I can chew. It basically involves me writing a module on live sound and teaching it to a group of six students from The Academy of Music and Sound. Got the go-ahead a few days ago after a meeting with their head, Jonathan Tait. It was a brilliant meeting and it went well – I was quite nervous because he was calling the shots whether I can use his students or not. He welcomed the idea with open arms and offered his full support – great success! He took the email I prepared and circulated it around the Academy, to which I’ve already had 9 responses! I now have to take all applicants and filter them down so that I have at least one drummer, bassist, guitarist and vocalist… Might be tough as I haven’t had any drummers reply yet! I’m forever busy working at the amazing Wee Red Bar, at the Edinburgh College of Art. Absolutely love it there and it’s the perfect venue for a young live sound engineer. During busier months, I was used to doing up to 3/4 shows per week but now I’m down to 1 or 2. Suits me better anyway for when uni work sets in – tend to get carried away with work! Kaiho, Frightened Rabbit, Hector Bizerk, Dead Boy Robotics, Warren MacIntyre & the Starry Skies and techno DJ Ben Sims. Hector Bizerk was probably the most memorable. They rocked up from another gig in Glasgow to play on a five band bill *shudders* with a 15-channel tech spec. I had 10 minutes to: reverse the previous stage setup, frantically rip apart the stage box for a whole new patch, throw extra D.I.s and mics in, set up their gear/electronics AND line check the entire setup, ready for their unique hip hop sound. Was one of the quickest changeovers considering, however they sounded fantastic as they’re a great act and really nice guys. 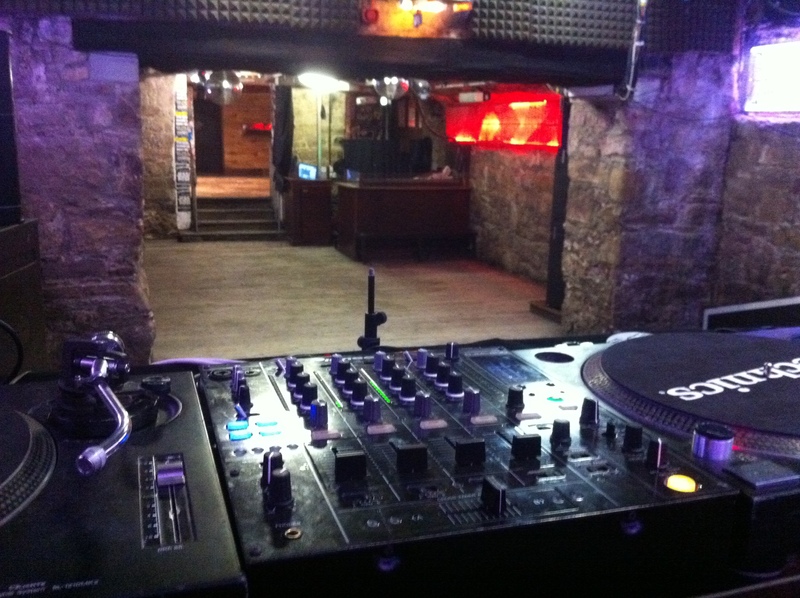 After a rather controversial change of hands in Cabaret Voltaire‘s operations, I’m back working there doing club shifts. Technically, everything’s changed in terms of control and overall sound. We have no mixing desk and outboard now, just a few switches controlling the amp levels of each room. All the lighting is automated and without a desk, meaning there’s no creative control over this. It’s a shame because even the little things like the timed flashing of par cans or building up a heavy strobe effect all makes a positive difference to people’s nights. Now, it’s too bright and colourful in the club, making it look cheap and cheesy. As for the sound, well, don’t get me started. I’m still regularly playing bass with northeast ceilidh band, Ceilidh Stomp. We’re very busy in the wedding season and also with parties/fundraisers. I play with some great musicians including Liam Flaherty who first got me involved with the band. Clare Penny runs the band and is a ridiculously hardworking woman – definitely the most organised band I’ve ever been in! As I find myself performing less and less, it’s great to have gigs lined up as I’m busier with other work, and it’s a great source of income! Getting things going with Bertrand. We’re an alternative rock four piece and have been together for a while now. I’ve been in the studio doing a bit of recording with drummer Ben where we laid some tracks down, also experimenting with a few different ideas. Hopefully in the next couple months you’ll have some proper recordings to listen to, as we only have demos with MIDI drums at the moment. We played at The Wickerman Festival in July and have just been to The Third Door supporting The Glitch. Anyway, yeah, I hope to begin tracking more of our songs soon. Stay tuned! Along with this website and Twitter, you can now view my public page for all things sound engineering! You’ll find news on live and studio work, complete with an obligatory collection of swanky close-up shots of expensive microphones. Be sure to give us a ‘Like’, and ‘Share’ if you think I’m cool enough.